Still no flying cars in the air. Driver-less cars are an idea best suited to wealthy, developed countries, and soonest achieved in data-rich, urban and suburban technology ‘mesh’ areas. These landscape solutions will take decades to fully roll out globally. But this isn’t about dissing Google. Their work in this field is vital. This is about the long delay until such technology arrives; and about the “60-40” problem. When all cars are driver-less, they can be guided like a robot army. But at some point, a 60-40 mix of human and driver-less cars will be on the same freeway and local roads. How’s that going to work out? During a rush hour snow storm? That problem is vastly simpler if the human-driven cars have smartphones which can “talk” to driver-less cars and mesh with urban traffic systems. Right now, the motor industry sees the smartphone mostly as an extension of their in-car displays. But smart phones can, and will, do much more. Driver augmentation via smartphones will improve road safety far faster than robot cars. Smartphone AI also provides the optimum bridge to deploy today‘s technologies, and integrate with tomorrow‘s solutions. Insurers are already offering premium reductions to drivers monitored by smartphone or other GPS positioning devices. They hope to then influence the driver’s behavior by hiking or reducing their auto insurance premium. For example, in the U.S., Progressive Insurance offers a customer-fitted GPS device which plugs into a vehicle diagnostic port. 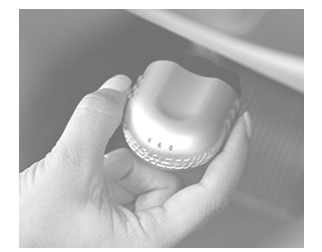 The device can record the time of day journeys take place, to enable fine-tuning of individual driving risk profile. In a similar fashion, some EU insurers offer discount to drivers who carry a cellphone in their car. Other insurers rely on trackers used in commercial fleet driver monitoring. But these industry offerings have had poor uptake by consumers -other than young drivers. For most private motorists, GPS units are a significant install cost over the course of perhaps a one year policy term; and the smartphone option offers only modest premium reductions to offset the disadvantage of being “watched”. State of Tech : We’re on the threshold of driving tech in vehicles. We need to max what can be done and raise uptake rates. Your phone. OUR APP. Free CRASH prevention. rta0 accelerates the use of motor safety technology by a game-changing dynamic which offers high returns to all players : the insurers, individuals and public administration. Consumers haven’t taken to tracking technology; and to be fair, who can blame them? The public need an overwhelming reason to submit to such management of their driving. Alice changes that. Our design and proprietary elements unlock consumer resistance and create an unstoppable momentum towards widespread adoption of driver augmentation. Operationally, we provide collision prevention and dynamic insurance risk discovery; married to AI-based, advanced behavior management for drivers. That’s quite a mouthful. But, watch an eight-year-old or eighty-year-old, swipe their way through an iPhone photo album. Underneath there’s a world of good design -now instinctive at the fingertip. That’s been our goal. We interact with drivers in a new way – via the kind of human factors engineering which guided the conception of the iPhone; with a design and methodology rooted in a human-centered focus. Society has many old problems, with matching old solutions. The iPhone showed us that human factors engineering makes design leaps leveraging technology to supersede old solutions with dramatically improved outcomes. For all of Silicon Valley’s innovation reputation, the reality is a lot of ‘me-too’ and linear thinking. Technology’s bright allure focused us on driver-less destinations -when we also needed pathways to that destination. Question: What is the most important nut in a car? The industry takes the elimination of the driver as a given. In the long term, that’s right. But augmenting the functioning of existing drivers will in the short-term outperform driver-less cars when it comes to saving most lives. It was premature to design out the smartest piece of technology in any car today: the human! We keep the driver. We leverage the driver. The driver is our Star. We need a seamless bridge from existing to future systems. We need rapid systems engineering with a bias to immediate practicality. Asking individual insurance companies to play that role is a big ask. They are insurers – not technologists. The socially desirable outcome is beyond the capacity of a single insurer. And beyond its shareholder mandate, to be frank. The State has a public interest here. The State can and should act to bring about a well-regulated technology infrastructure which allows road safety authorities, technologists and insurers to manage risk optimally. Such an infrastructure can develop alongside of the traditional predictive risk insurance market. And can mesh with emerging systems of the future. The game change is from mere actuarial prediction of risk – to live management of actual risk and behavior. That puts RTA’s on the fastest path to extinction, and keeps them on it. And that’s our core goal.